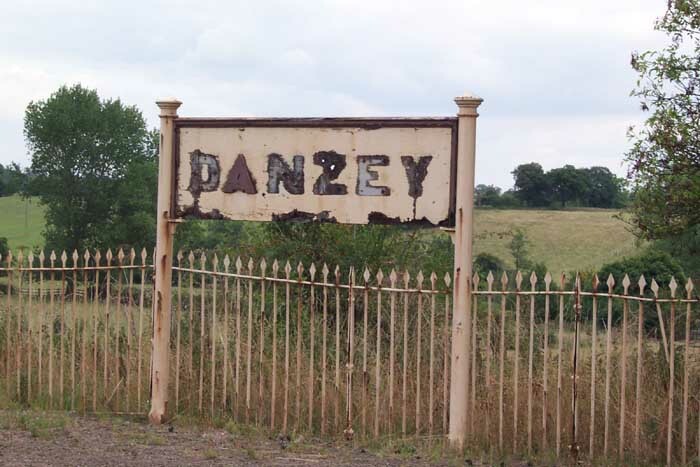 Danzey Station opened in 1908 as 'Danzey for Tanworth' on the North Warwickshire Line which was then part of the GWR network (although prior to running into financial difficulty had been a project of the Birmingham & North Warwickshire Railway). 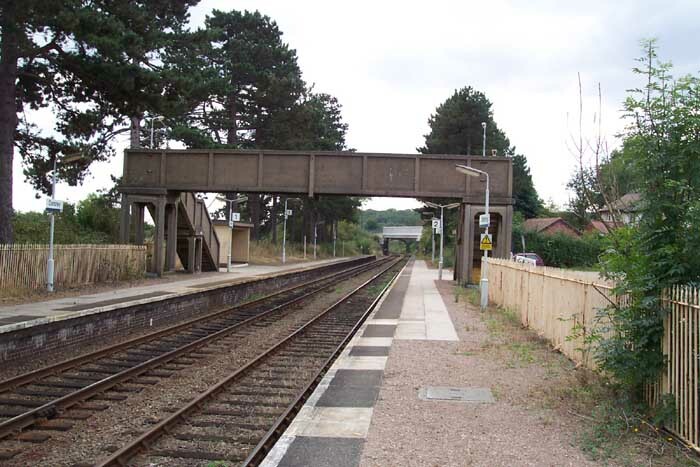 It is a very rural unstaffed halt and, as far as I could surmise, not heavily used. This view was supported by the fact that there were no cars in the car park, it didn't appear to be on a bus route and there were only a handful of houses within easy walking distance. 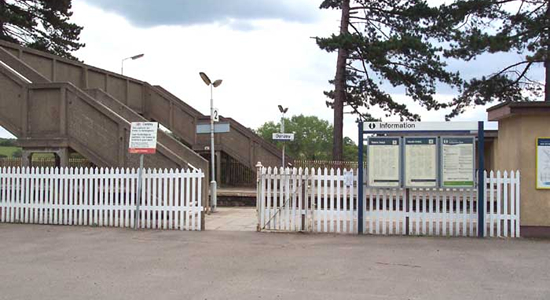 The entrance to Danzey Station from the car park off Danzey Green Lane is shown above in September 2003. 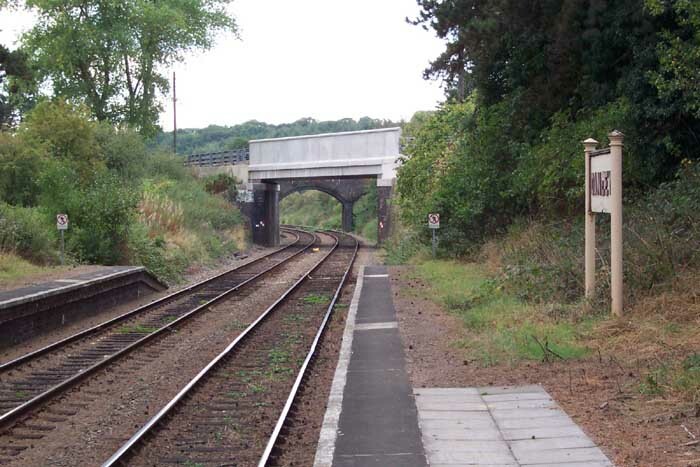 Above-left we are on the Birmingham platform looking along the station in the direction of Wood End. 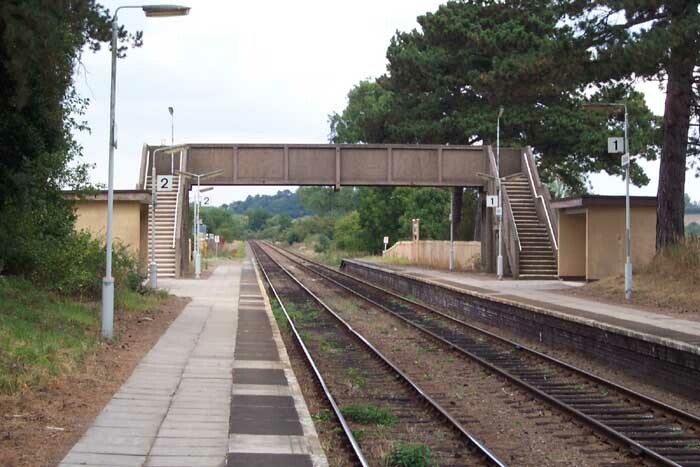 There is no station building, only two concrete shelters and a concrete footbridge. It is a very desolate spot and rather poorly kept with no visible signs of any maintenance programme having been carried out for some time: all the concrete is flaking and shabby. 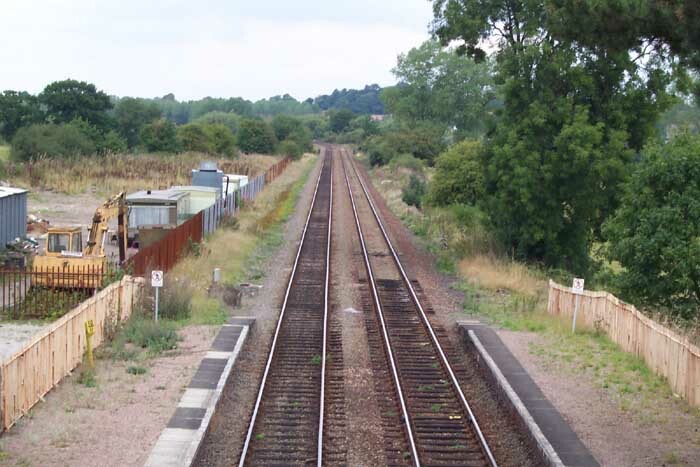 Above-right we are in the same spot but this time looking towards Henley-in-Arden Station with the railway curving away under the Danzey Green Lane bridge. Above-left we are on the footbridge looking towards Wood Green. What is now a contractors yard used to be the goods yard with two sidings controlled from a signal box which stood just passed the end of the railings on the right-hand platform. The corrugated iron goods shed still stands but is just out of shot to the left. Above-right we are at the end of the Birmingham platform but this time looking back towards Henley-in-Arden. I included this picture as it just about sums up my overall impression of Danzey Station!